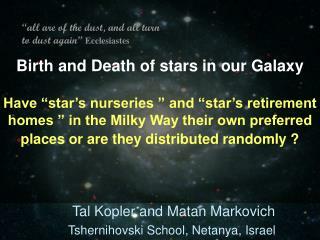 Tal Kopler and Matan Markovich Tshernihovski School, Netanya, Israel . 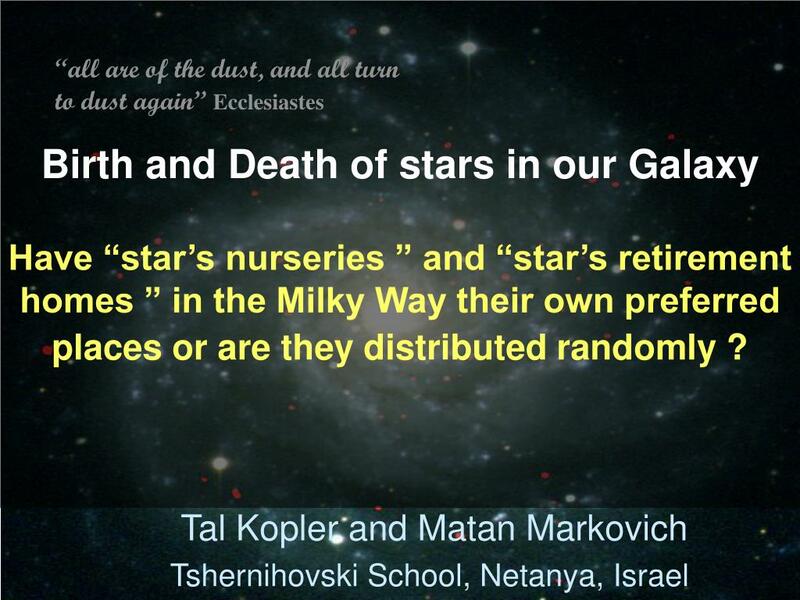 Birth and Death of stars in our GalaxyHave “star’s nurseries ” and “star’s retirement homes ” in the Milky Way their own preferred places or are they distributed randomly ? 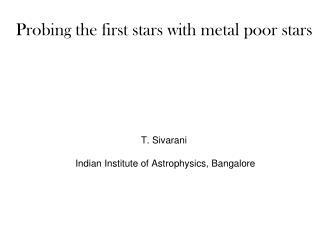 A Star is born from clouds of gas. At the moment of birth it illuminates the remnants of it’s mother, the nebula. 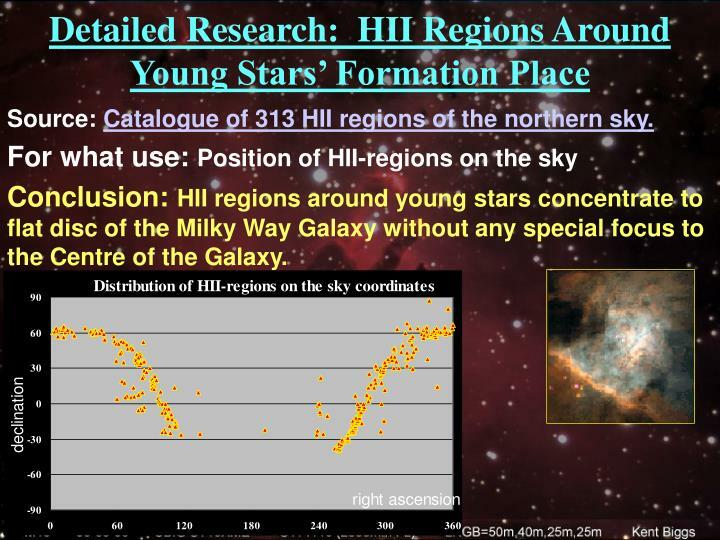 HII-regions (of the ionized Hydrogen) surround all the young stars = star’s nursery. 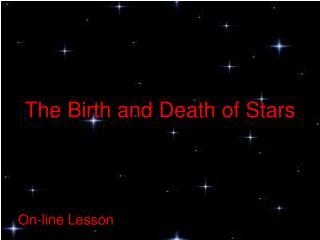 Bright mother-nebula around the newborn star is the first exhalation of the star-baby. 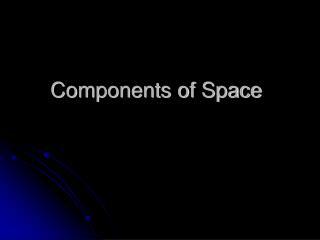 This part of the star’s life is very short – millions of years. 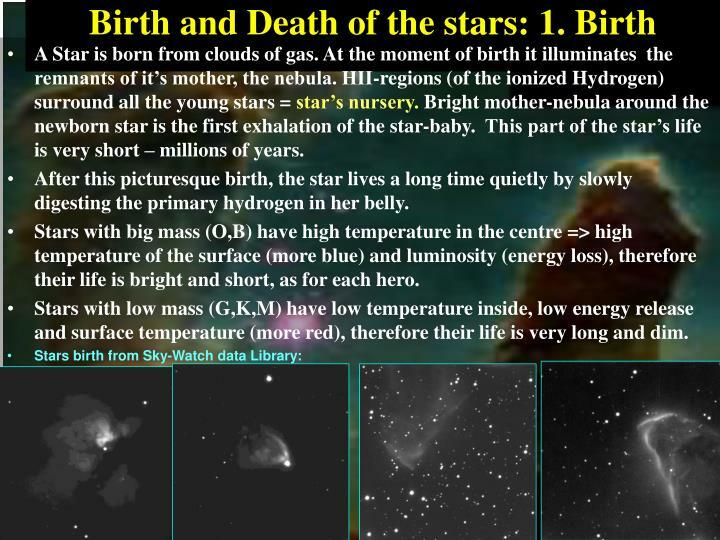 After this picturesque birth, the star lives a long time quietly by slowly digesting the primary hydrogen in her belly. 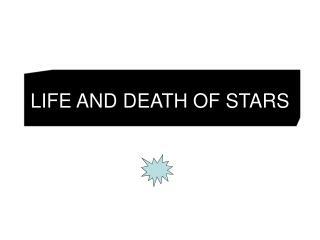 Stars with big mass (O,B) have high temperature in the centre => high temperature of the surface (more blue) and luminosity (energy loss), therefore their life is bright and short, as for each hero. 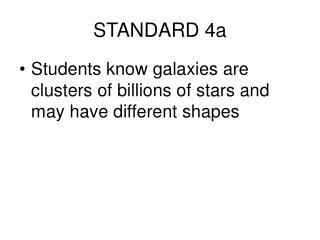 Stars with low mass (G,K,M) have low temperature inside, low energy release and surface temperature (more red), therefore their life is very long and dim. 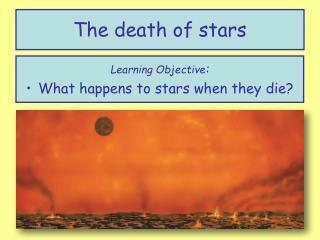 A star dies after it finishes all of the resource of its mother’s primary matter (H ,He,…). 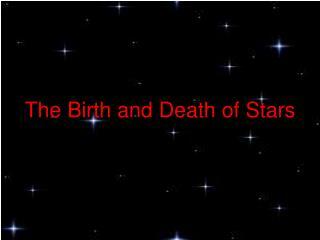 In its last moment, the star explodes (the last screech - “star’s agony”) and eject to space its external layer. The ejected gas form a Planetary Nebula around stellar remnant (white dwarf). The nebula expands and scatters very fast (millions years). However, the white dwarf slowly loses its inner heat, and slowly dies away after billions of years. 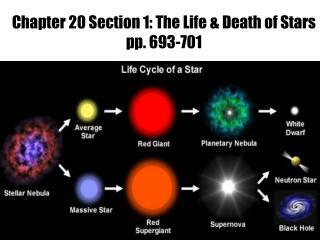 For big mass stars final explosion ejects almost all stellar mass (SN=Super Nova) and forms a stellar remnant (neutron star or black hole). 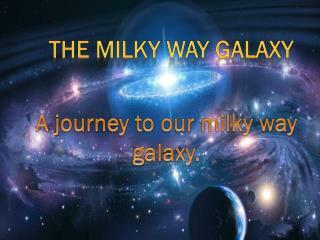 Most of the stars are in the state of “Main Sequence” – like a traffic jam. 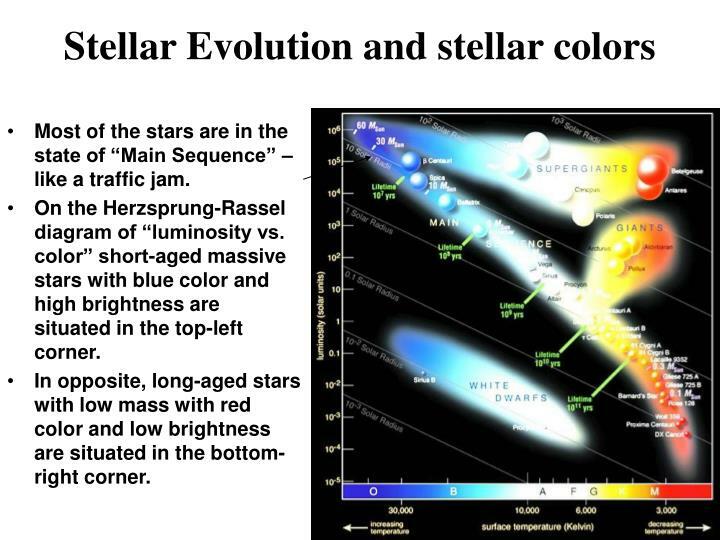 On the Herzsprung-Rassel diagram of “luminosity vs. color” short-aged massive stars with blue color and high brightness are situated in the top-left corner. 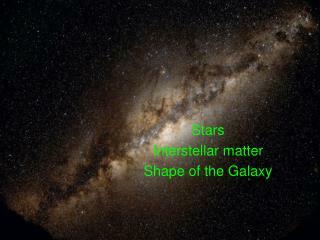 In opposite, long-aged stars with low mass with red color and low brightness are situated in the bottom-right corner. 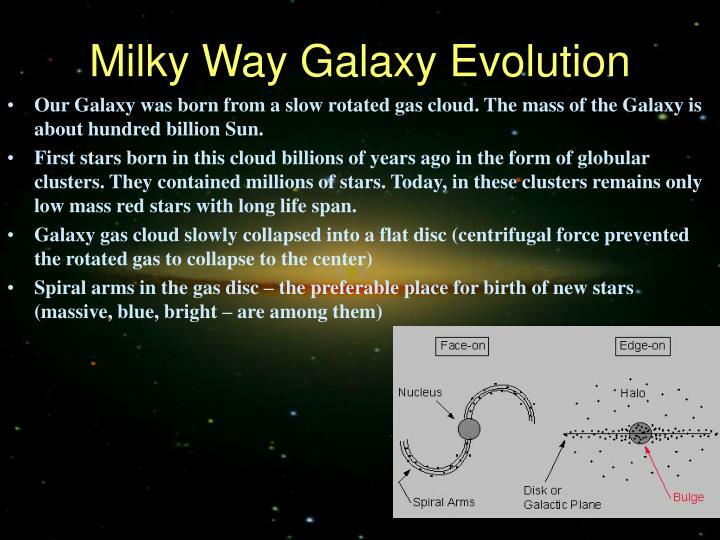 Our Galaxy was born from a slow rotated gas cloud. 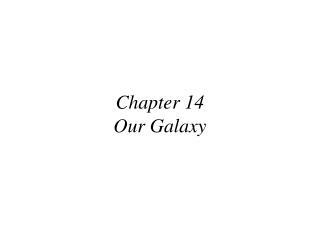 The mass of the Galaxy is about hundred billion Sun. 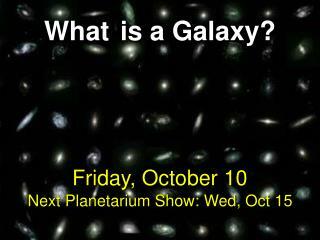 First stars born in this cloud billions of years ago in the form of globular clusters. 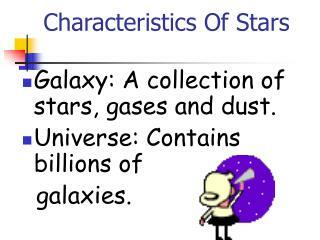 They contained millions of stars. 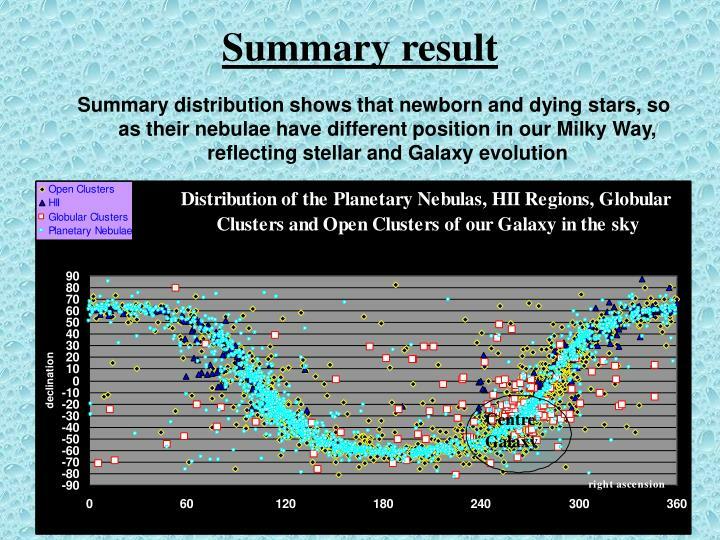 Today, in these clusters remains only low mass red stars with long life span. 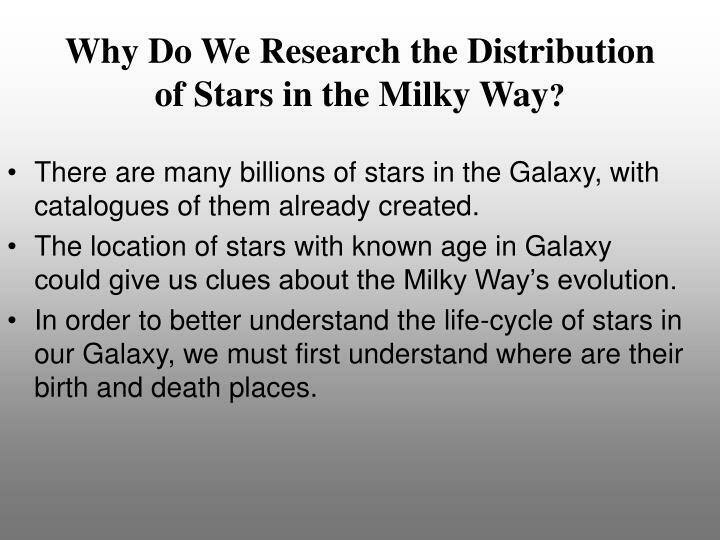 Why Do We Research the Distribution of Stars in the Milky Way? 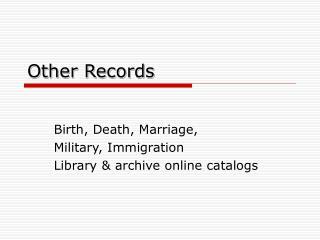 There are many billions of stars in the Galaxy, with catalogues of them already created. 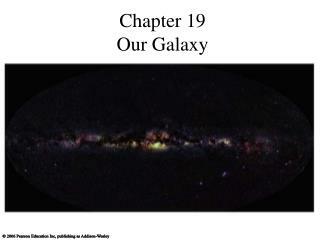 The location of stars with known age in Galaxy could give us clues about the Milky Way’s evolution. In order to better understand the life-cycle of stars in our Galaxy, we must first understand where are their birth and death places. 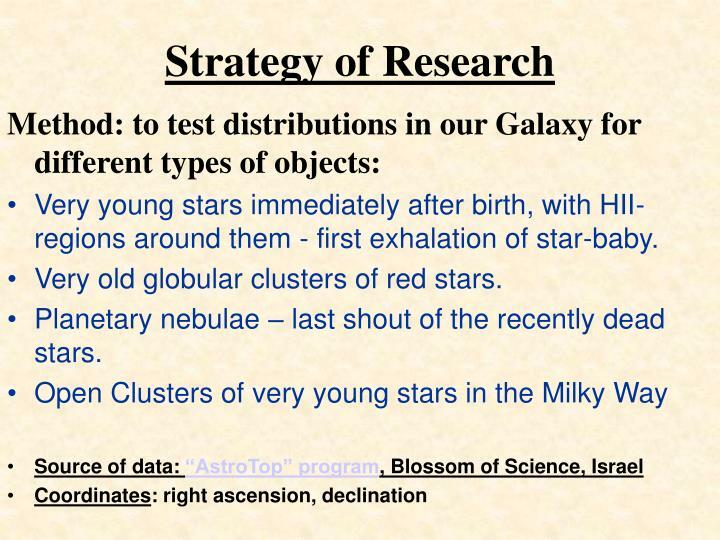 Very young stars immediately after birth, with HII-regions around them - first exhalation of star-baby. 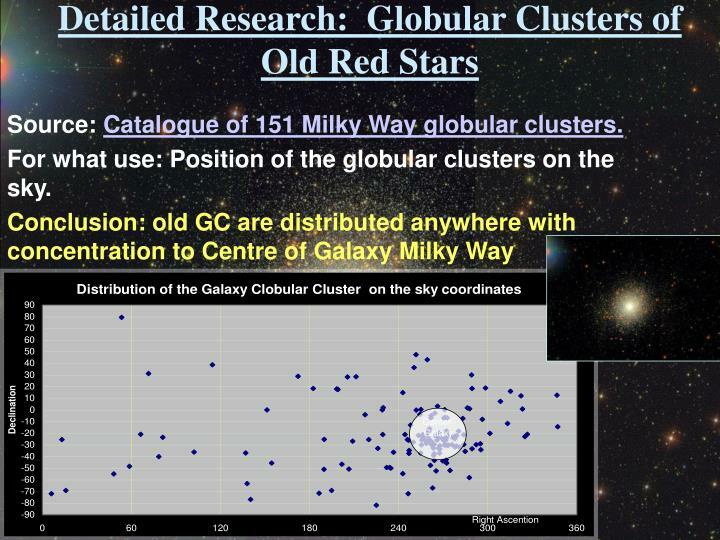 Very old globular clusters of red stars. 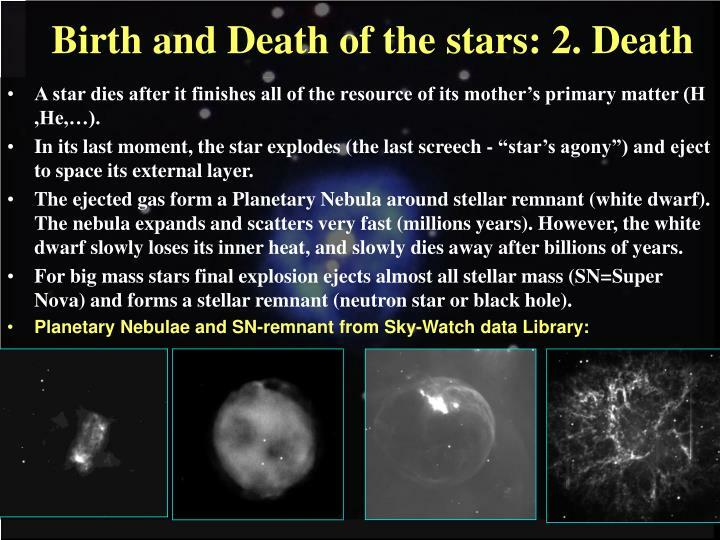 Planetary nebulae – last shout of the recently dead stars. 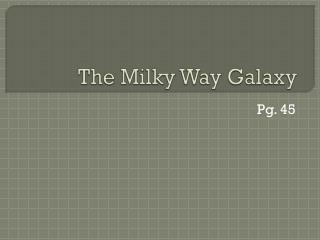 Source: Catalogue of 151 Milky Way globular clusters. 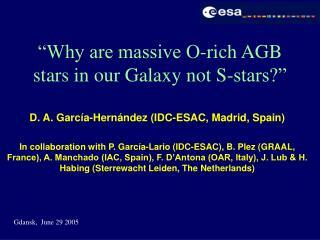 For what use: Position of the globular clusters on the sky. 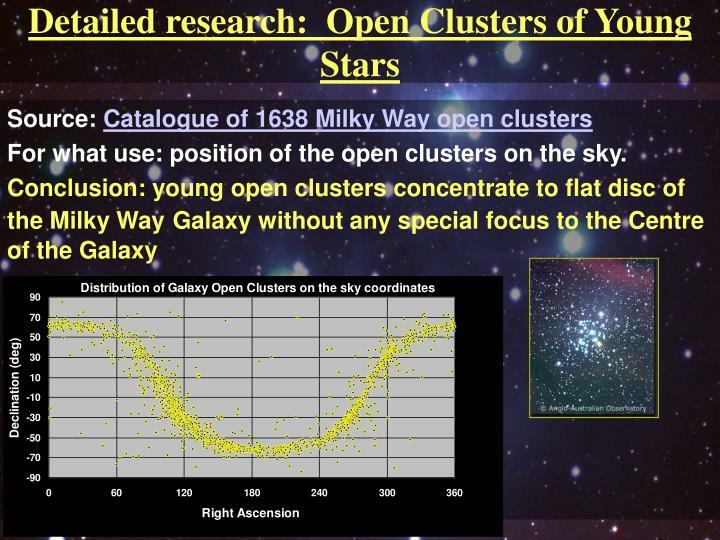 For what use: position of the open clusters on the sky. Source: Catalogue of 313 HII regions of the northern sky. 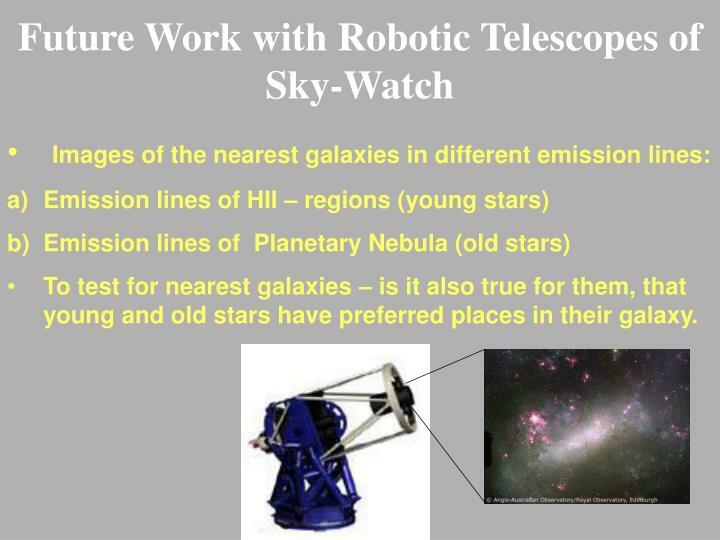 Conclusion: HII regions around young stars concentrate to flat disc of the Milky Way Galaxy without any special focus to the Centre of the Galaxy. 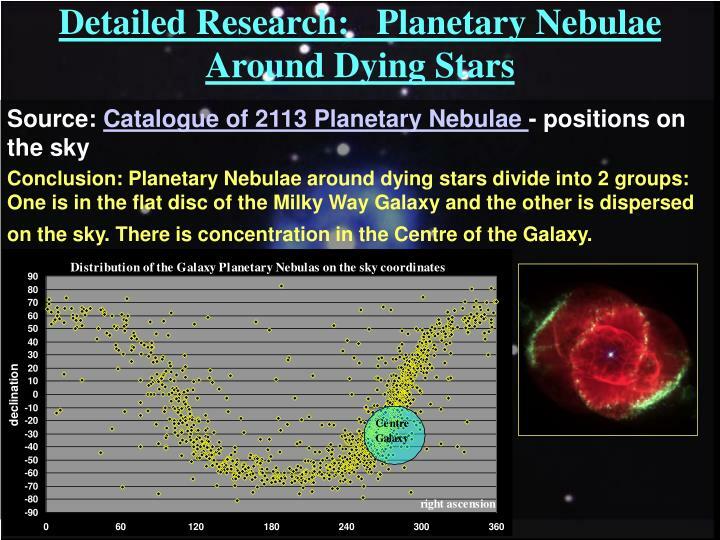 Conclusion: Planetary Nebulae around dying stars divide into 2 groups: One is in the flat disc of the Milky Way Galaxy and the other is dispersed on the sky. 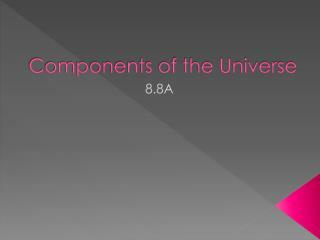 There is concentration in the Centre of the Galaxy. 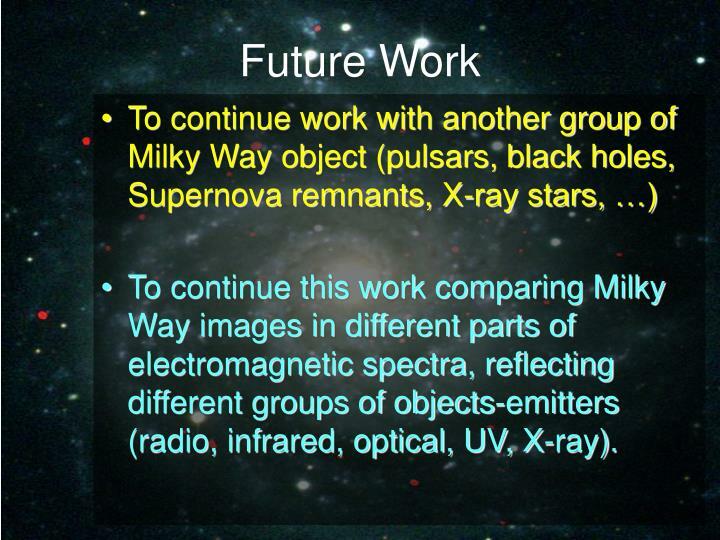 To continue this work comparing Milky Way images in different parts of electromagnetic spectra, reflecting different groups of objects-emitters (radio, infrared, optical, UV, X-ray). 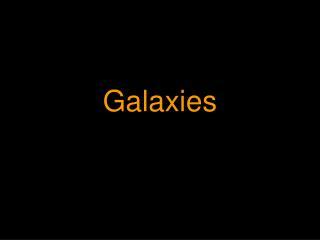 To test for nearest galaxies – is it also true for them, that young and old stars have preferred places in their galaxy. 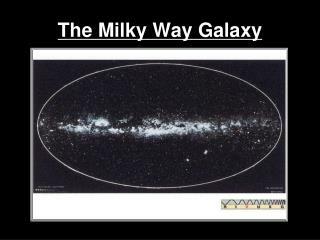 The milky way galaxy -In our shinning universe there are billions of stars , millions of meteors, hundreds of stars , plenty of planets, many moons , a unique sun and many more celestial bodies.